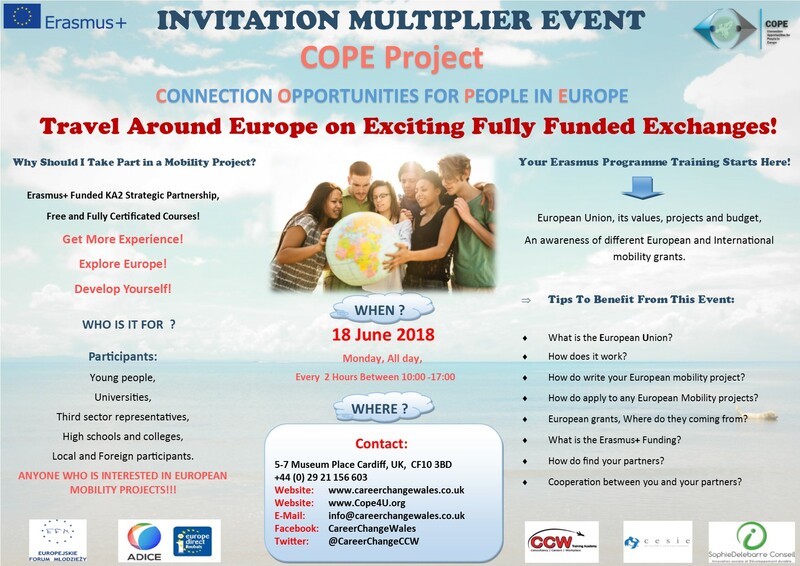 We are running our COPE Erasmus Project Multiplier Event on the 18th of June. This event will be around out COPE website. It will show you how to learn about Erasmus projects using the website. Our Multiplier Event will be an all day event. It is an open day, so feel free to come down during the day to check out our newly created website. The website covers topics such as; What is the European Union? How do mobility Project work? How do I start a mobility project? and more.